Here are a few moths I need help with. The Agathia species is from Cameron Highlands. I only identified species I have in my collection. 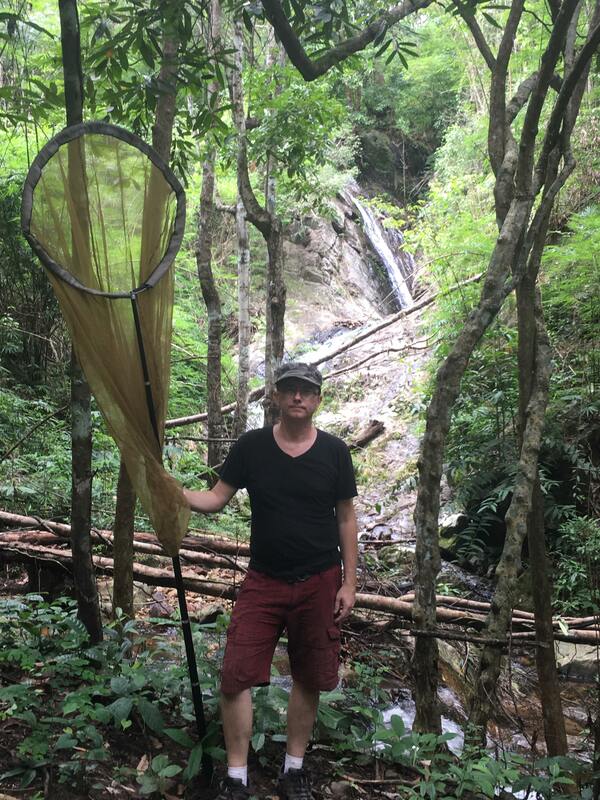 It took me hundreds of hours to search for IDs for about 600 species of moths from Thailand and Laos. I still have about 5% UFOs. Many thanks Paul. It is difficult finding sources to identify these moths I was able to id a few so far. I have more that I will post once I take them off the spreading boards. These two I don't have. Did you collect there in Malaysia? nice species, don’t have that one either. I wish I collected them. I came across a package of smaller moths that a friend had given me recently. There are about 50 moths in the package and when I saw them I knew I had to get them mounted. The variation and patterns of the smaller moths is fascinating. 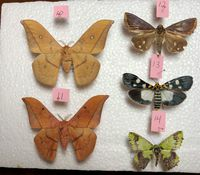 Here are some more moths from Fraser's Hill in Malaysia that I need help identifying. These names are based on Moths of Borneo website, but west Malaysia is hardly different, being part of Sundaland. #1: Locharna limbata female. These females will lay eggs in lines on the white sheet, in a cage or inside a envelope. Thank you for all your help Paul and Jan! I will have to check out the Moths of Borneo website. You're welcome. Happy to be able to help. Browse the moth families simply by choosing a volume in the menu to the left and then browse through the image galleries or by clicking the links. It can be a tedious task if one is not somewhat familiar with families and there have been a lot of revision on some of the (sub)families, sub(genuses), etc. since the creation of this website. Species names are still much the same though. The Moths of Borneo website was very helpful. I think you got those correct.